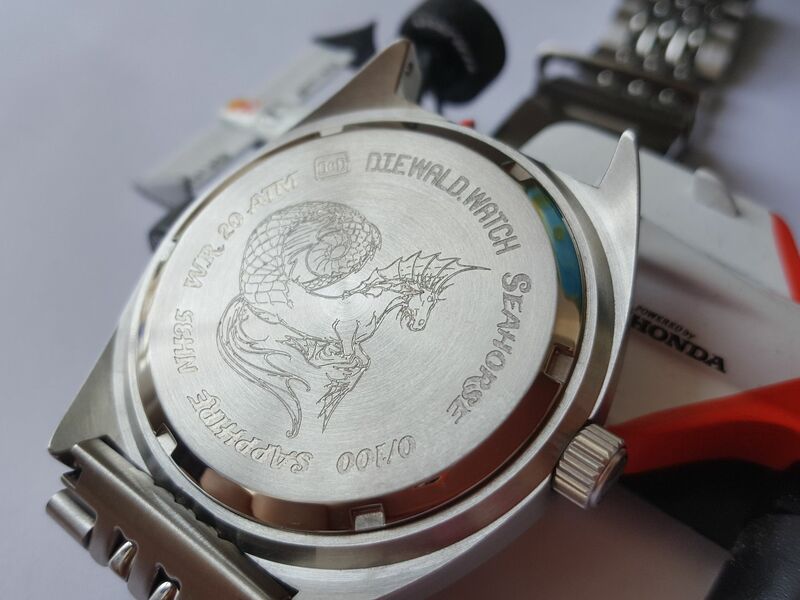 Mythological SeaHorse 2, from Poseidon’s stables, to your wrist. 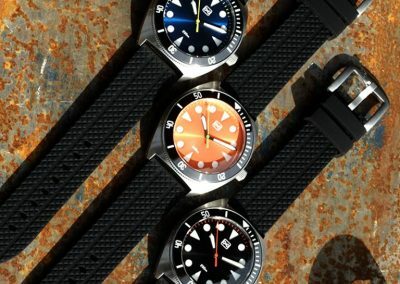 Hello to All of you Watch Enthusiast around the globe. 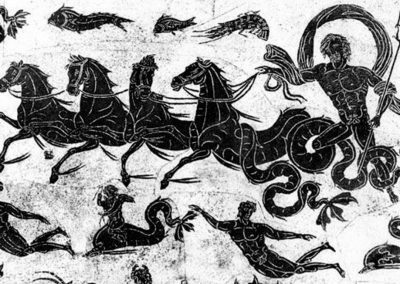 The hippocampus or hippocamp, often called a Sea-Horse in English, is a mythological creature shared by Greek mythology. 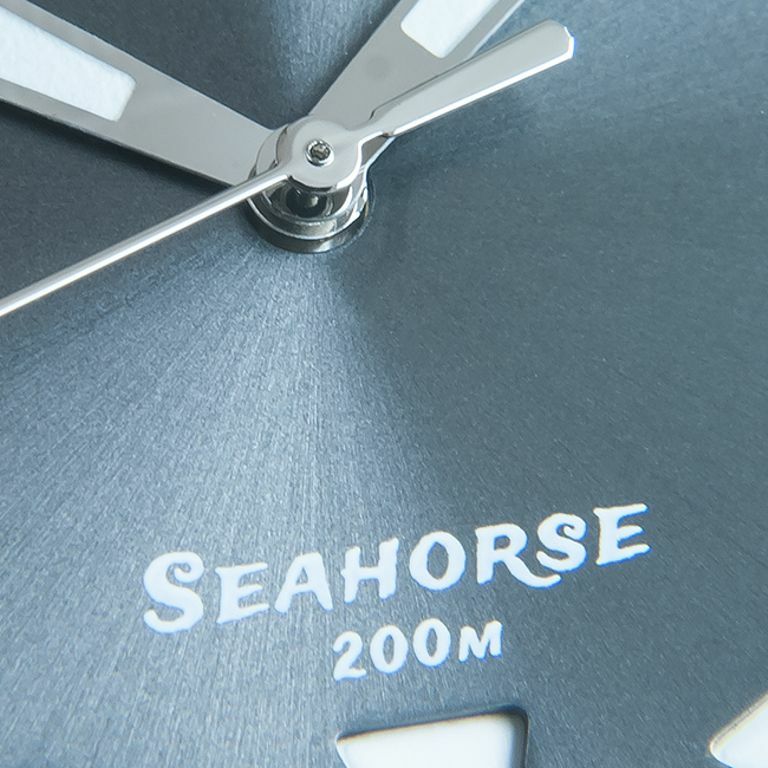 The hippocampus has typically been depicted as having the upper body of a horse with the lower body of a fish. 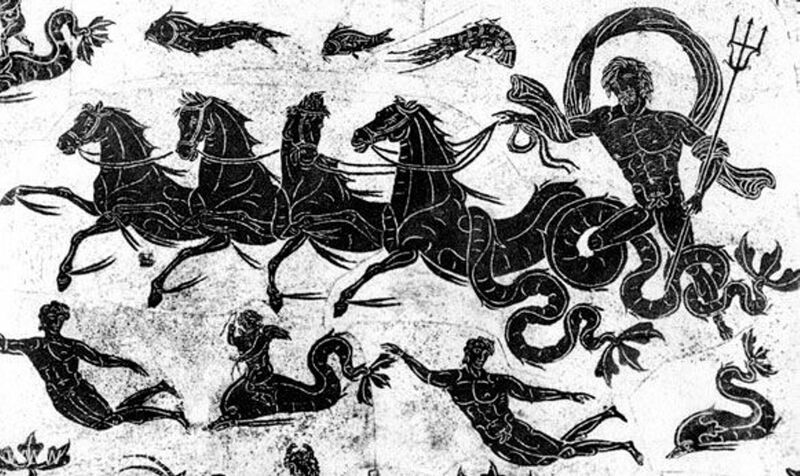 Poseidon (or Roman Neptune), god of horses, earthquakes, and the sea, often drives a sea-chariot drawn by hippocampi, accompanied with dolphins. 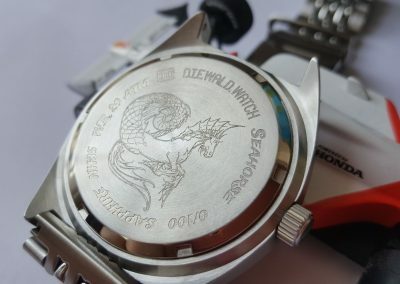 SeaHorse 2 is created by DieWald Watch Co. and Martin DieWald. 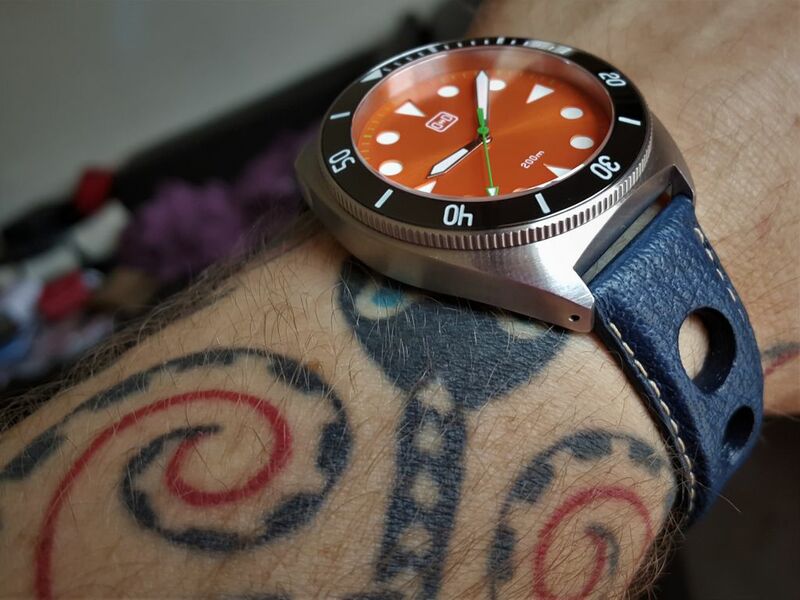 It is a second iteration of latest design with all small improvements noticed and inspired by feedback from users of SeaHorse divers/tool watch. 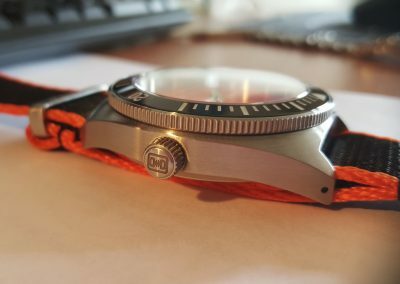 I didn’t have a chance to check on first iteration of SeaHorse watch, but here is review of SeaHorse 2 200m diver/tool styled watch. 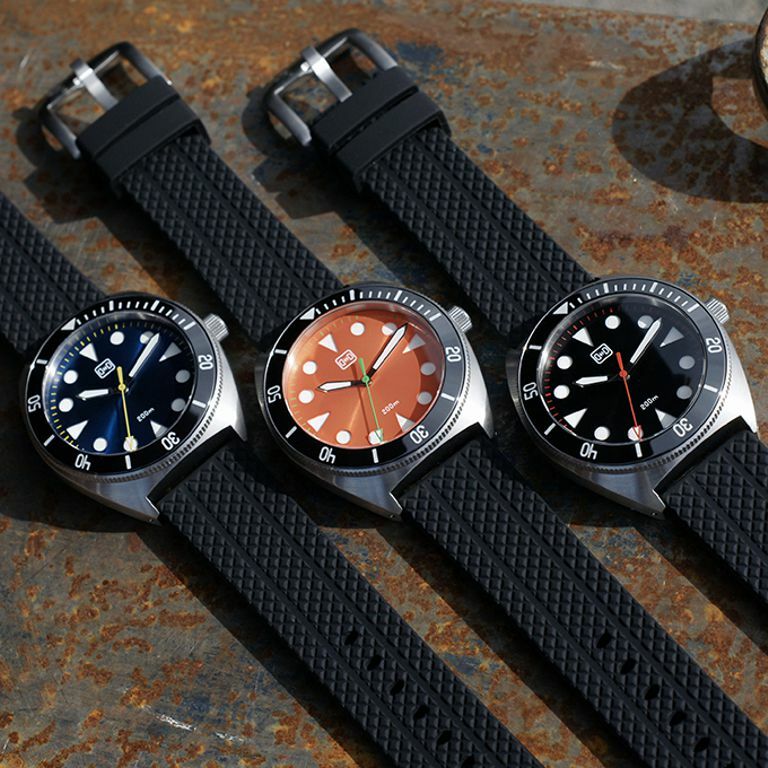 It is worth to write, competition in 200m divers watches are incredible within the micro-brands and with every new watch we, watch enthusiasts, just getting a better and better bang for our money. 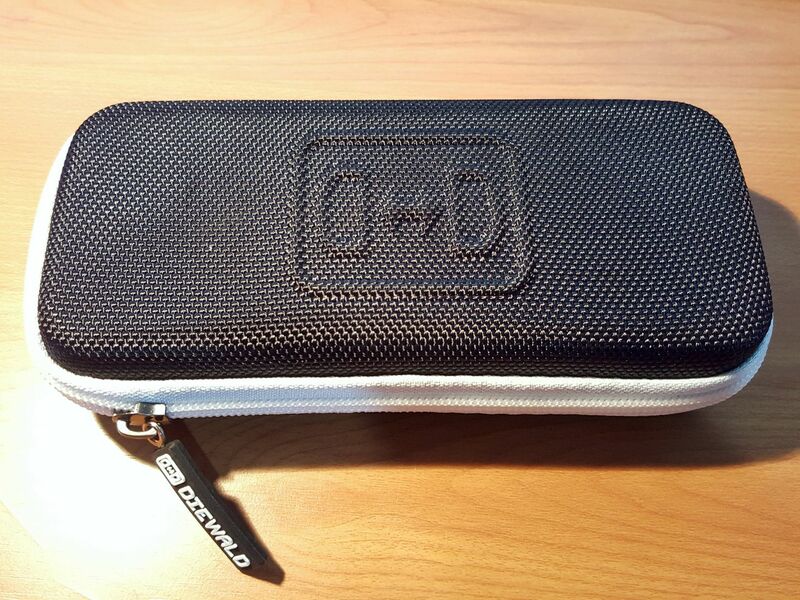 Is that case in work here? Well, let’s start. 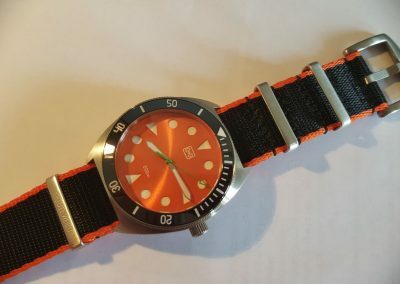 First, this is a diver/tool watch with 200m water resistance and playful dial colour options to chose, but what that watch can offer for 209eur (~250usd/185gbp), how much is asked price on DieWald website at the moment. 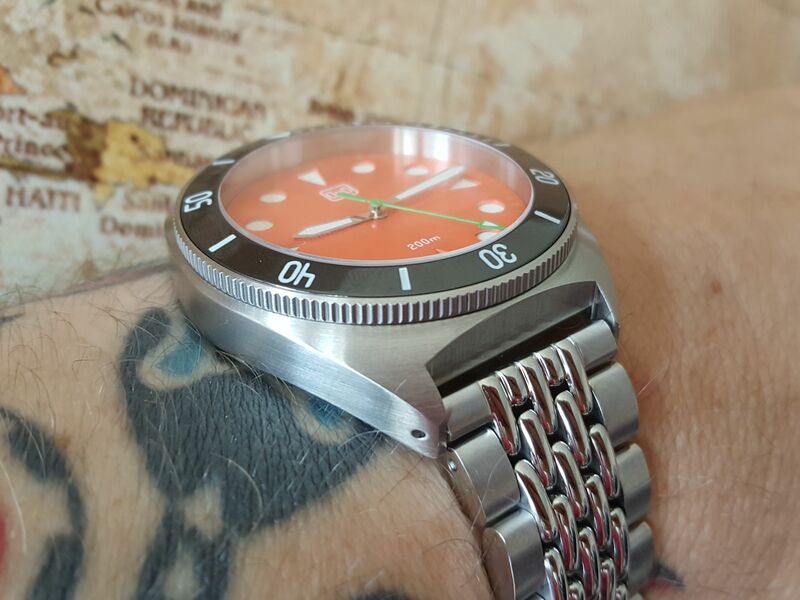 In basic, it is a 14.2mm thick, 43mm in diameter, automatic watch with 22m lugs and 47mm form lug to lug. But that are just basics. There are also several versions, or better to say, colour options of dial. 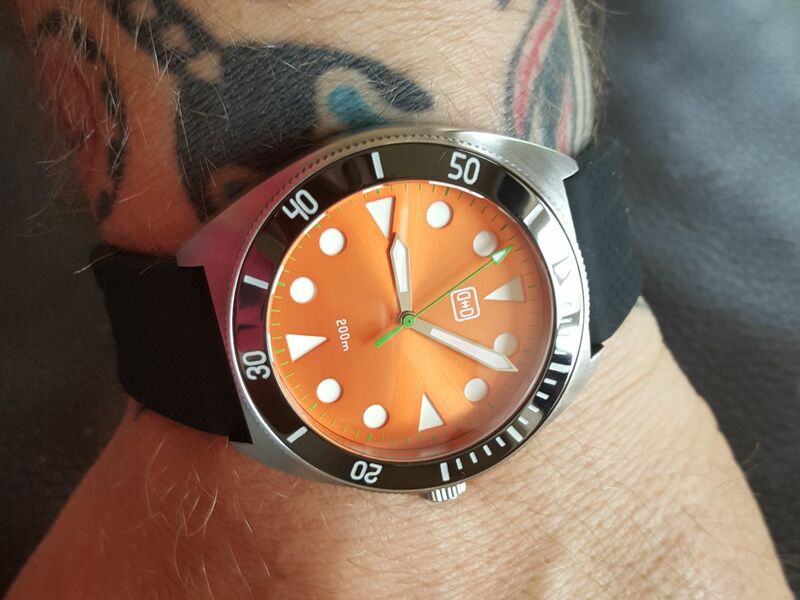 What I have for review is a bright orange dial with sunburst end finish, and I must to say, excellent choice for hot summer day. 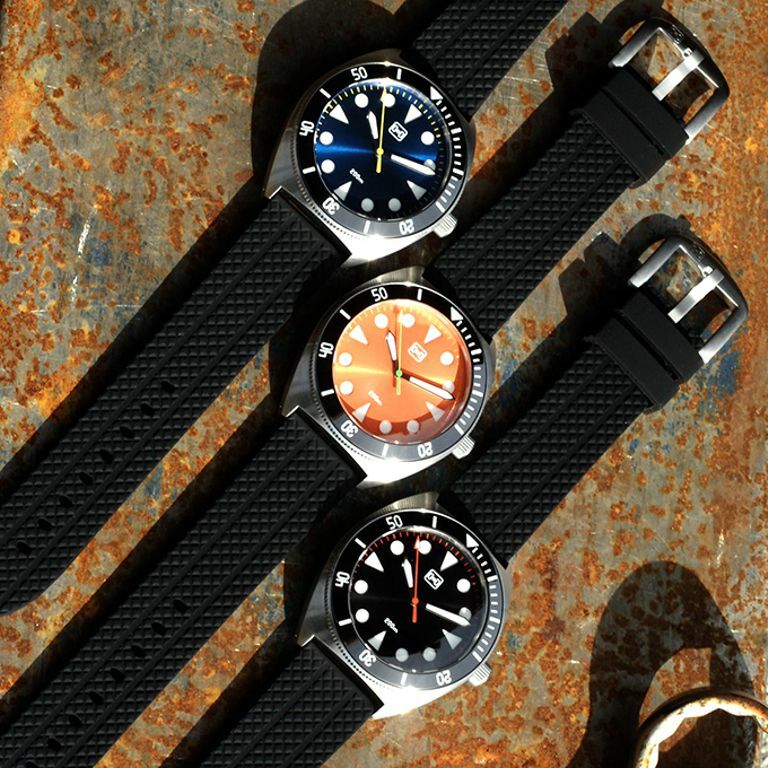 This dial is just calling for beach time. 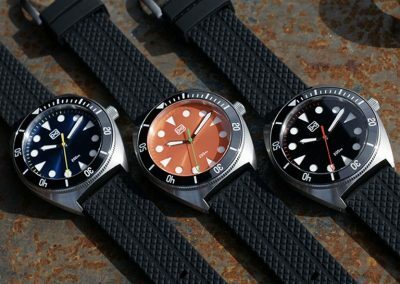 Here are a few facts and specs. 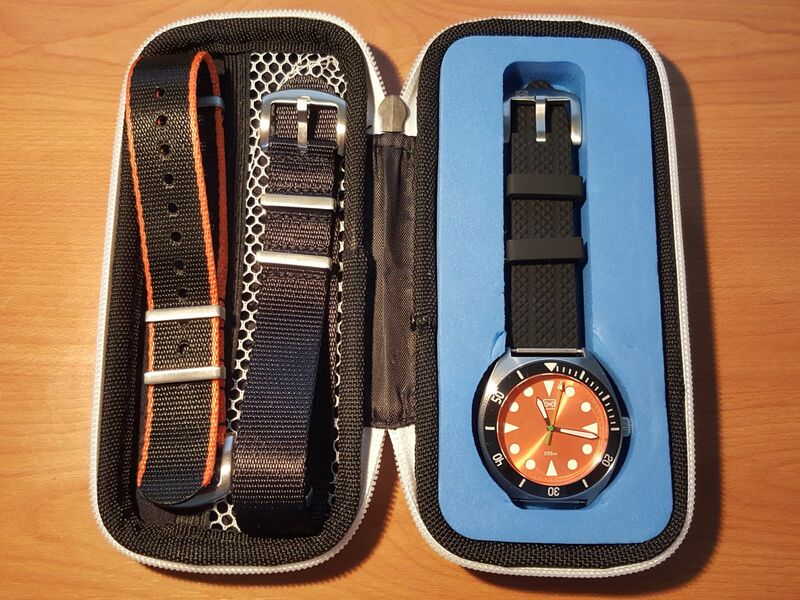 Hard outer shell, zipped travel case, big enough for one watch and additional straps. 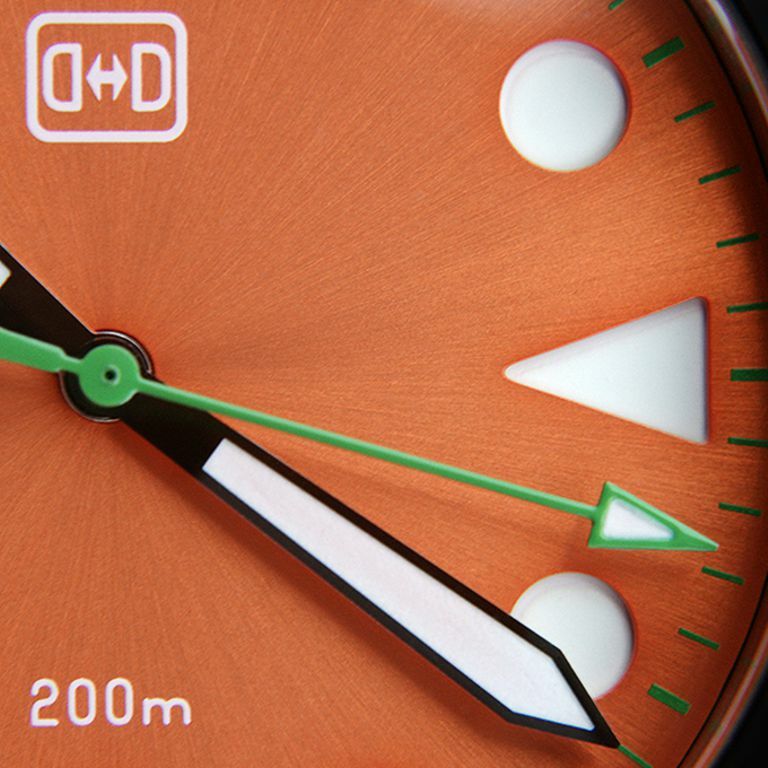 Dial is made in sandwich style with sunburst end finish. 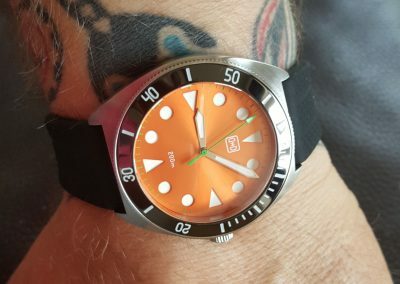 There are available several dial colour options (Night Black, Mythical Blue, Funky Orange, Deep Green, Blood Red and Cool Grey) but I had Funky Orange for review. There is a reason why sunburst end finishes on dials are so popular. Light is always playing with basic dial colour and I just can’t help myself to enjoy in that playfulness of colours. 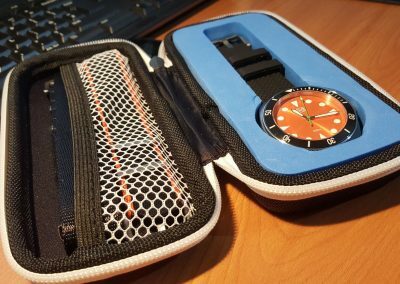 Same case here, dial is flat with mix of triangles and circular cut outs for hour markers and painted minute markers, so there is nothing to spoil the game of light on dial and that is a good thing. 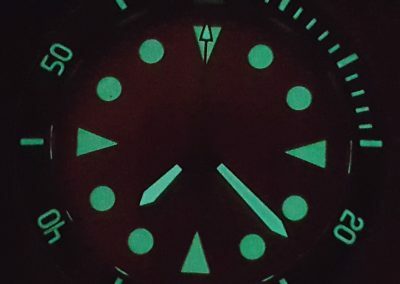 Lower layer of dial is coated with strong C3 lume. 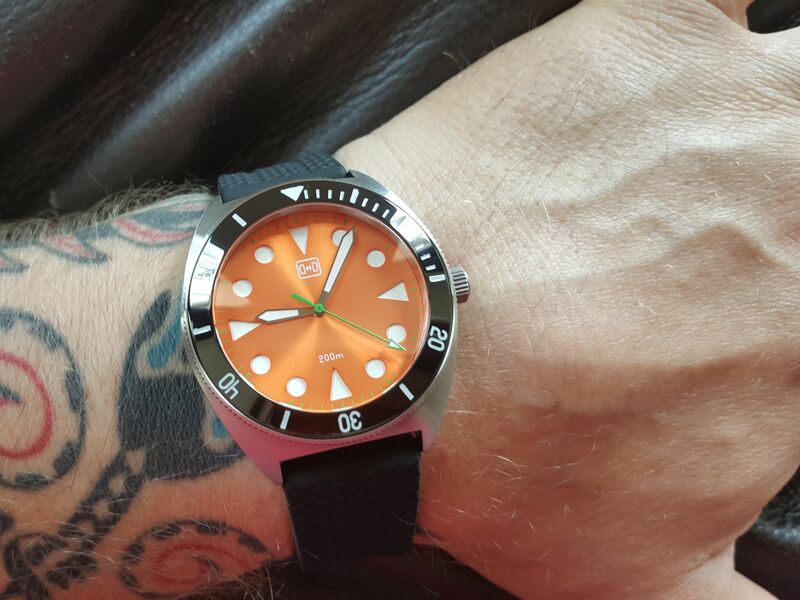 Hour and minute hands are simple sword style filled with C3 lume too. 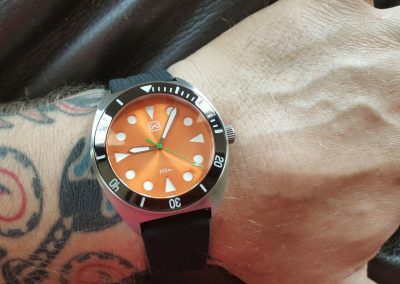 Second hand is light green, same as minute painted markings on outer part of dial and I like that contrast between orange and green. 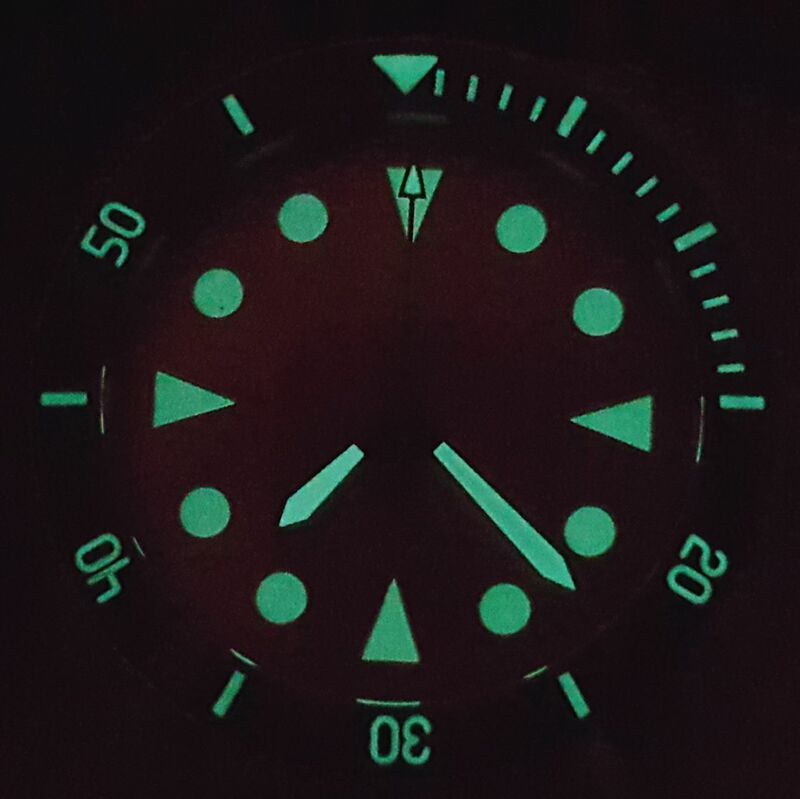 Triangle tip on second hand have same C3 lume and can be easily seen in dark. 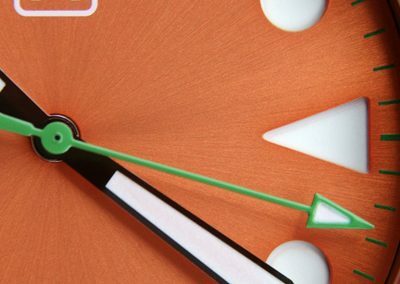 I am sure you noticed that there is no date window. Yeah, that is true, but I will say few about that at the end. 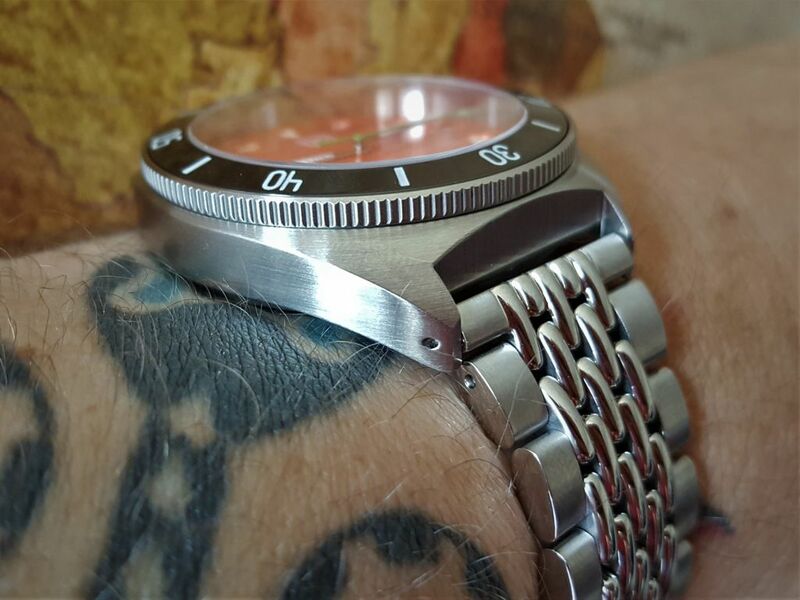 Case is 43mm in diameter and made from 316L stainless steel. 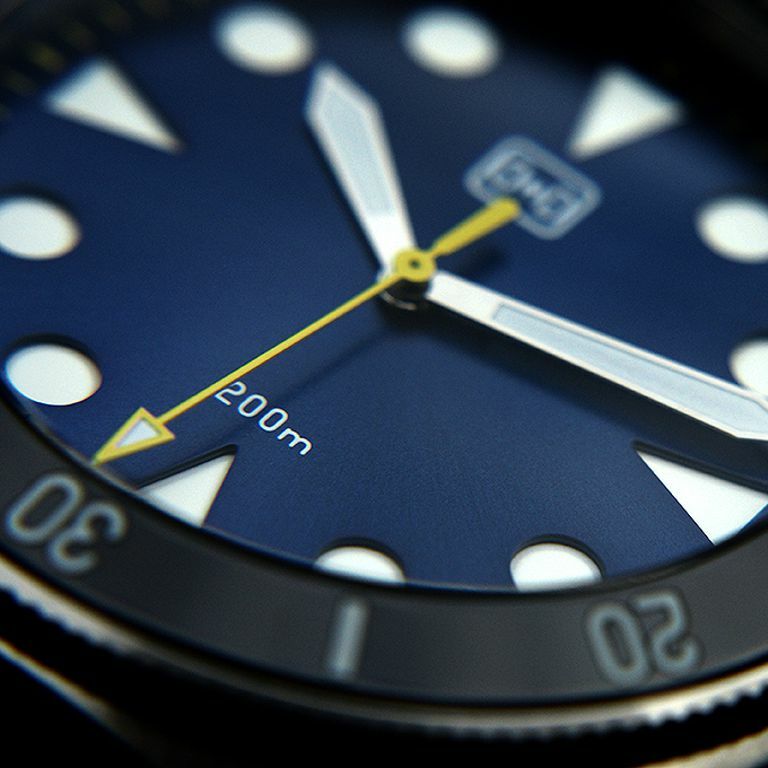 On top of the case is domed Sapphire crystal glass with anti reflection coating under the glass. Bezel is with standard divers markings. 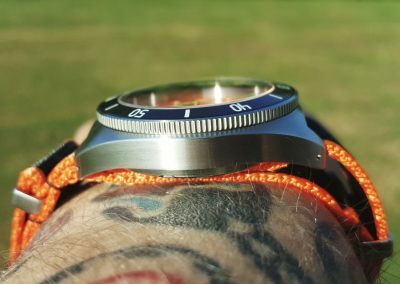 All markings on polished Ceramic 120 click, unidirectional bezel are filed with C3 lume, so no lack of night visibility there and Ceramic bezel inlay gives you security from all possible scratches. Bezel is bevelled, so in combination with Sapphire crystal have nice rounded appearance on top of case. 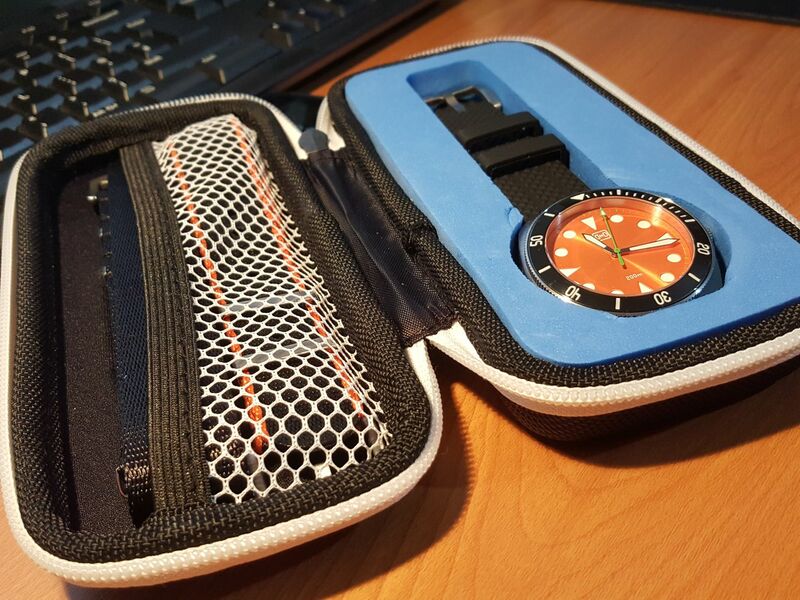 Case is brushed all around and brings just enough weight on your wrist to actually feel the watch. 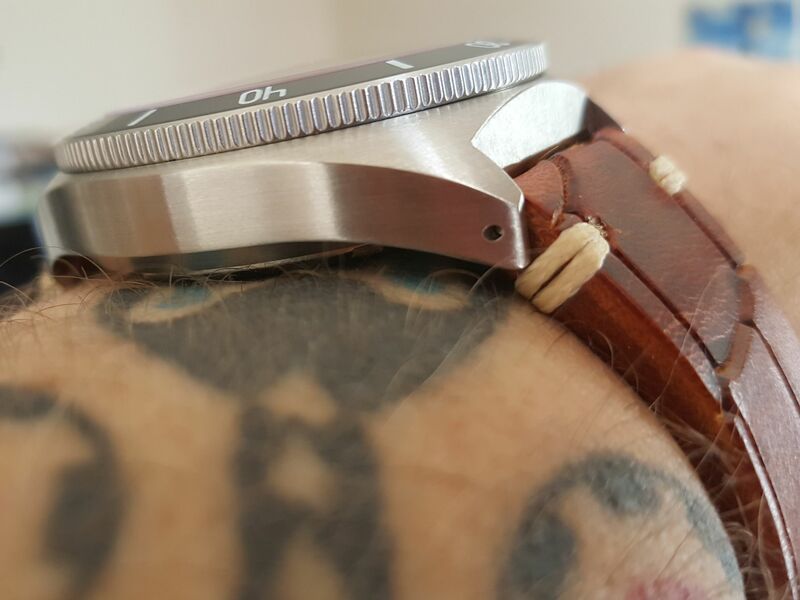 On side views it gives elegant, slick appearance and sits really well on my wrist, very comfortable to wear. 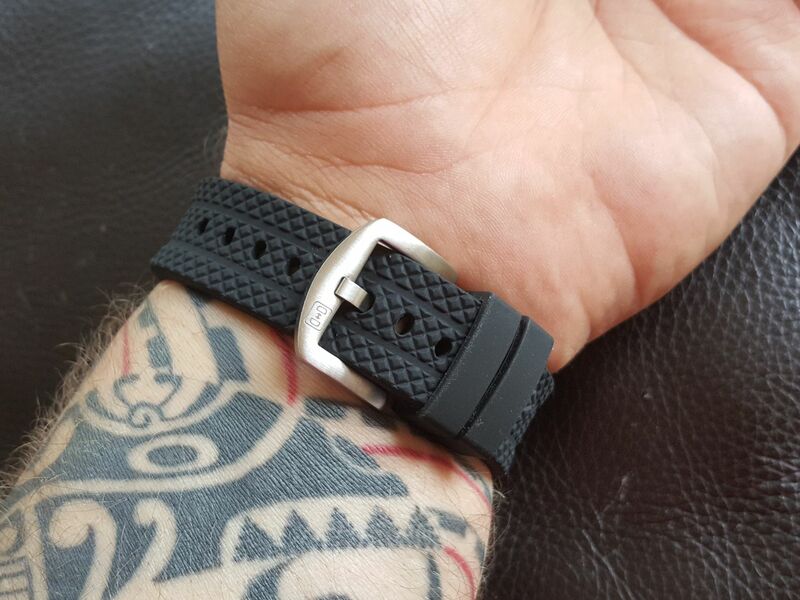 Lugs are drilled thru and that make so easy to change strap or bracelet. Also, there are small cuts on case for easier NATO strap change and wear. 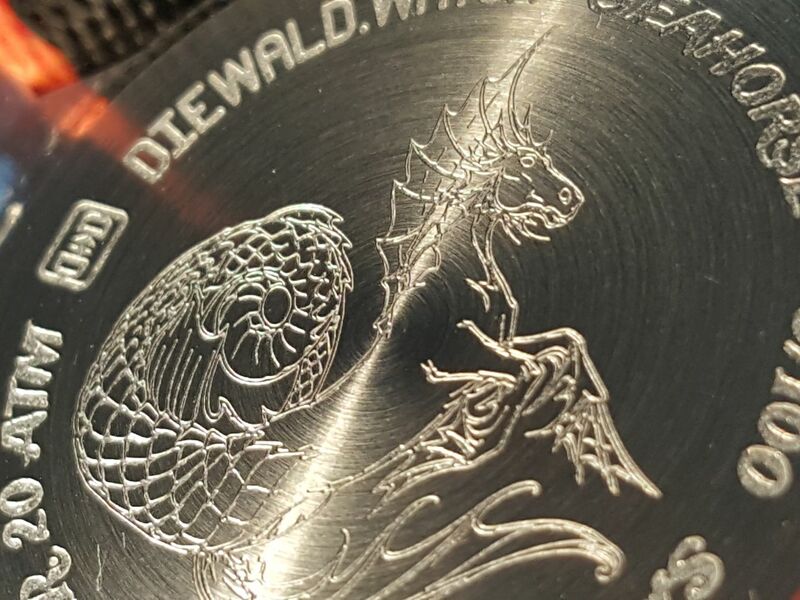 Back case is screw in, with laser etched big mythical SeaHorse in middle and writings around. 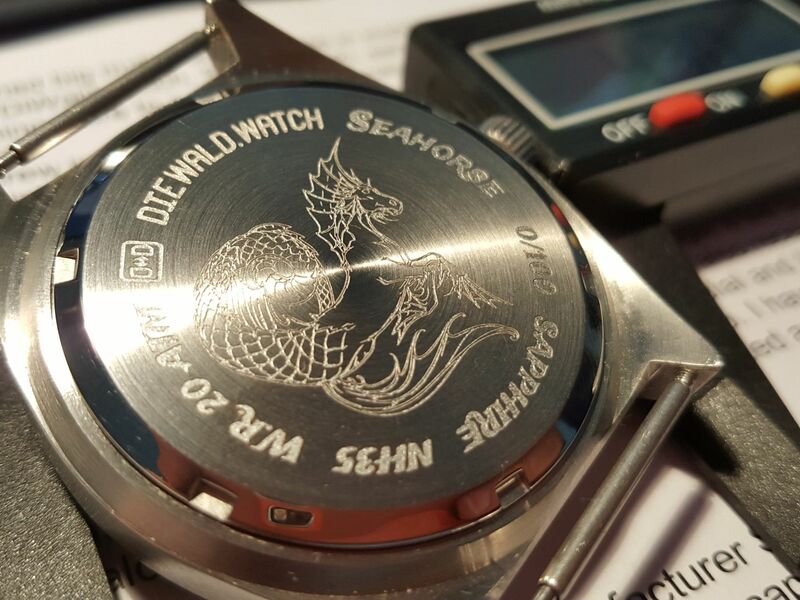 Etching is not deep, but it is readable and you can easily read: DieWald.watch, SeaHorse(2), serial # of your watch (0/100 in this case), Sapphire, NH35 and WR20ATM. 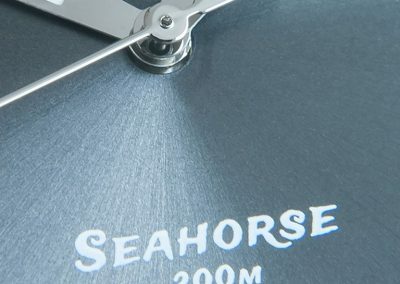 Actually, nothing more to say about back case, except, I would like to see mythical SeaHorse engraved deeper, with more character. 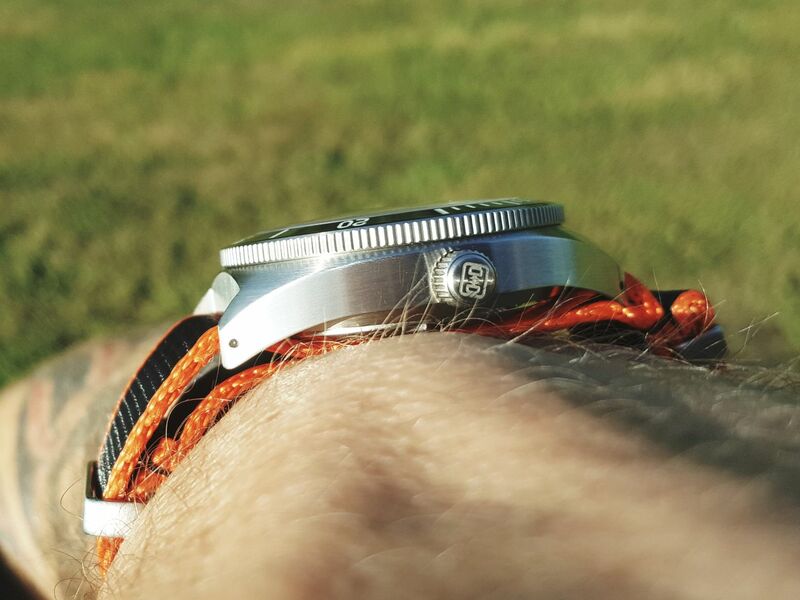 Crown is placed at 3 o’clock, it is screw in/out type and dimensions are 6mm in diameter and 3.4mm wide when screwed. 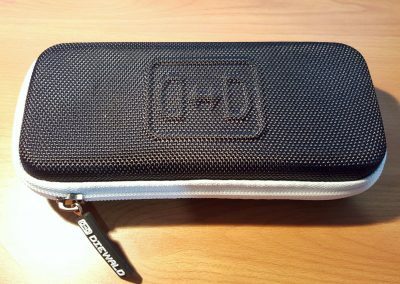 On top of crown is laser engraved DieWald logo and is just right proportioned for this case with enough grip but not too big. 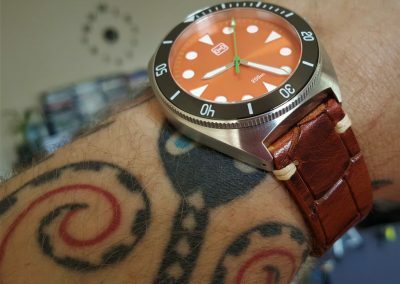 Straps with this watch are rubber and they are ok, well, short for 21cm (8 inch) wrist but that is something I been used on for long time now. 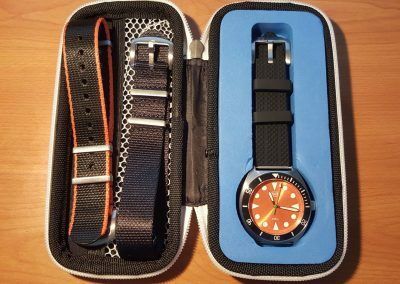 Rubber straps are comfortable and they have a concave underside that will prevent from sticking to your wrist when is wet. 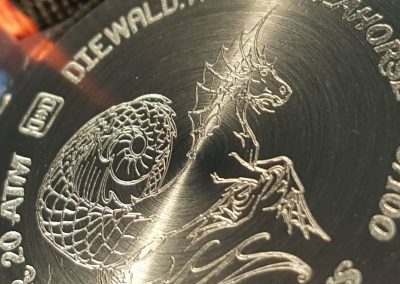 The buckle is brushed and finished with a DieWald logo. 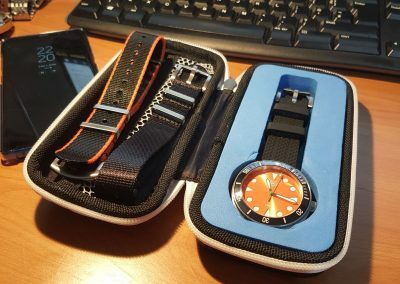 It will be nice to see option with a bracelet, but the rubber strap is perfectly acceptable on this type of watch. 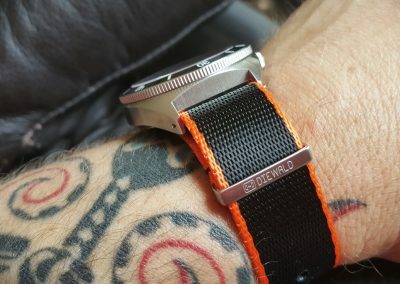 I also receive as addition, two NATO straps. 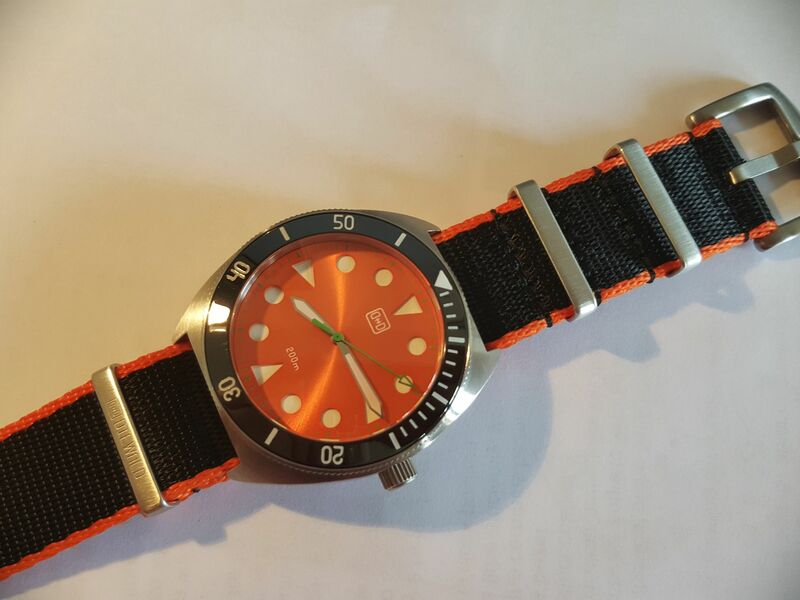 Black and black with orange stripes. 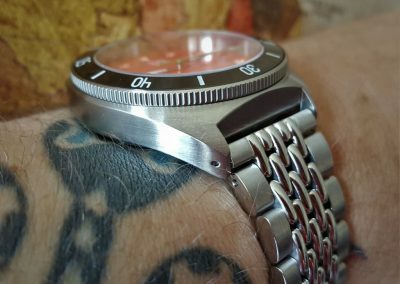 That later one was just perfect for this dial and I’ve got quite a few compliments on that combo. NATO straps were great quality, signed with the DieWald logo. I have no doubt that the leather and nylon straps, which you can find on DieWald website, are equally well constructed and good quality. 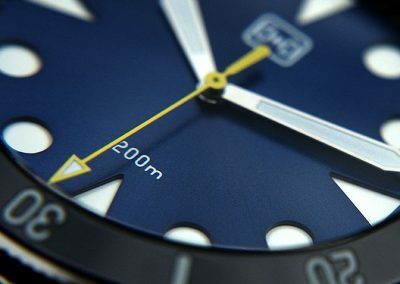 Movement in this watch is coming from Japanese manufacturer Seiko. 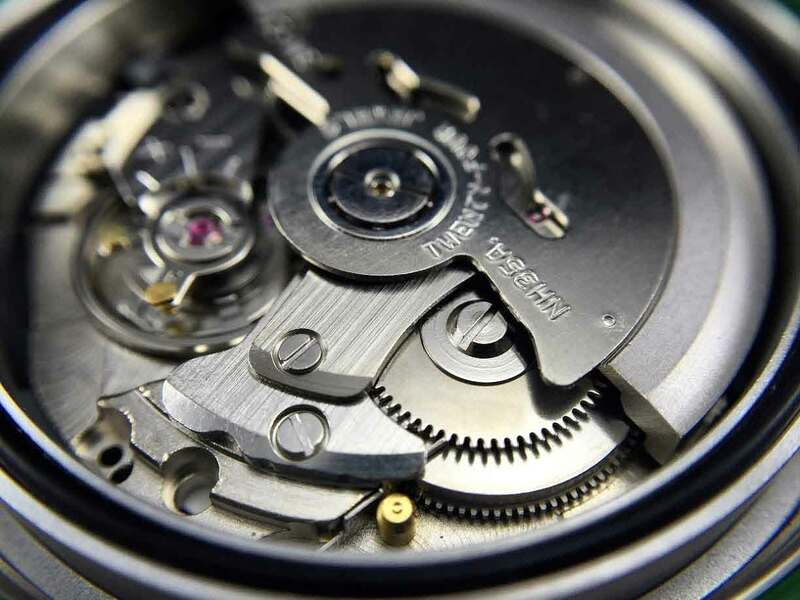 NH35 is mechanical movement with bidirectional automatic winding system with ball bearing and manual wind capability. 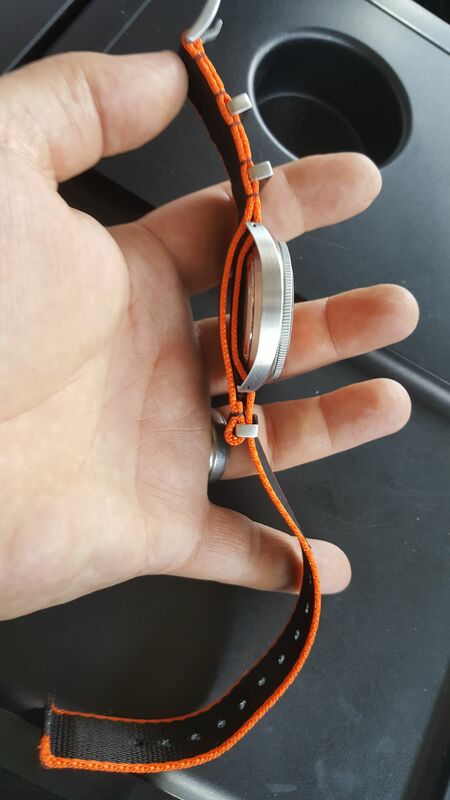 Heart rate is 21.600bph (beats per hour), power reserve is a bit over 40 hours and movement is equipped with shock protector, 24 jewels and hacking second (second hand stops when in time set up mode). 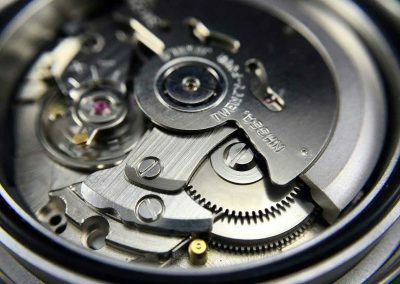 Overall dimensions of movements are 27.40 mm in diameter and 5.32 mm thick. I know there are movements with higher BPH, but my personal opinion is that NH35 is just perfect cost effective movement for this type of watches. Low maintenance cost, high robustness and solid accuracy (my experience with NH35 is from +/- 5 sec a day to +11sec a day, straight from factory assembling line) with factory accuracy specification of -20 ~ +40 seconds per day at 23º are all box ticked for good, robust and good longevity movement, prepared for all situations. 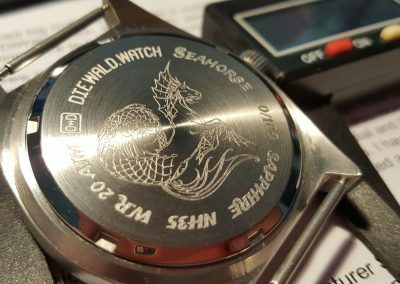 Except few issues, like short rubber strap and shallow logo laser etched on back case, I did not find any problem with this watch. 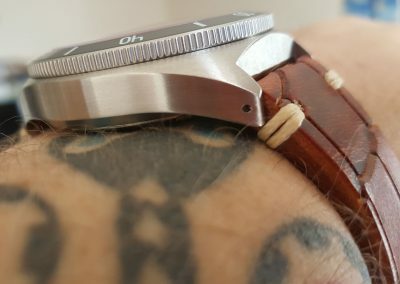 Deficiency of date window on this dial I do not consider it much as a minus because this is a watch for daytime activities where the most important is time reading. But still, I do miss that date window. 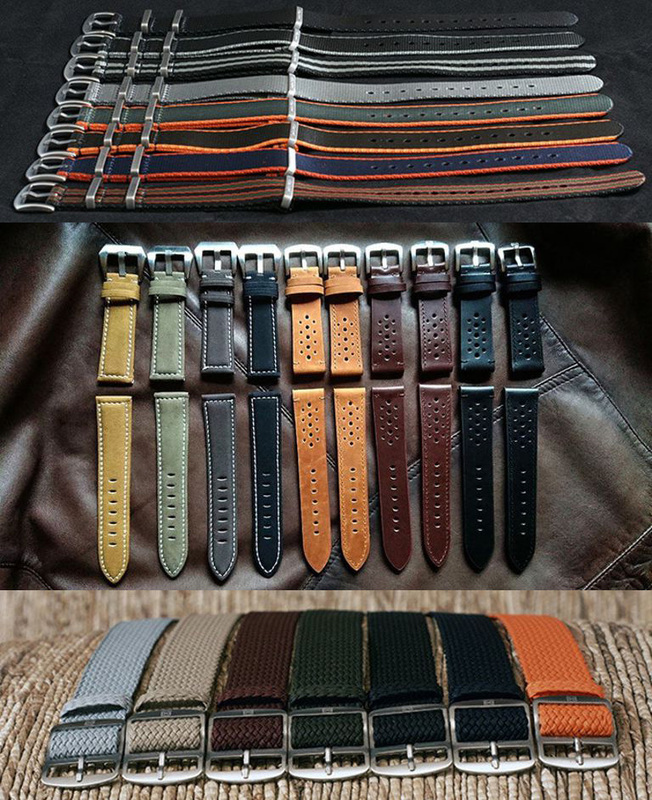 Regarding the current asking price of 209eur (~250usd/185gbp) and additional (leather, suede, perlon, NATO or rubber) watch straps for 12eur (~15usd/11gbp) this is just very good bang for your money at my humble opinion. 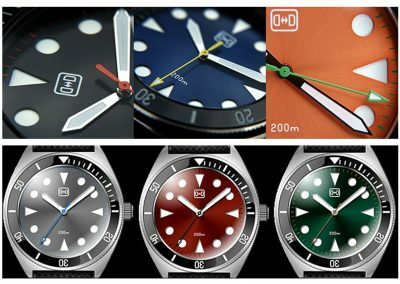 To summarise, you will receive reliable Seiko mechanical movement, elegant and classic tool case made from 316L stainless steel, sandwich dial with C3 Superluminova, Sapphire crystal with AR coating, Ceramic bezel insert with C3 lume in markings, 200 meter water resistance or 20ATM, screw in/out crown and appropriate rubber strap. You want more, deeper engraving or more layers or hardware on dial? No problem, but be prepared to pay much more. 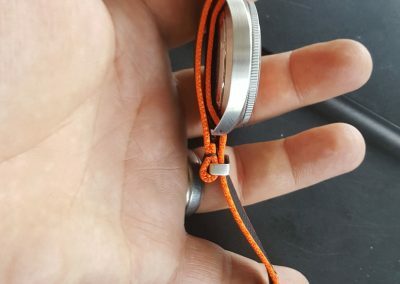 This watch was offered through KickStarter website but that train is now long gone. 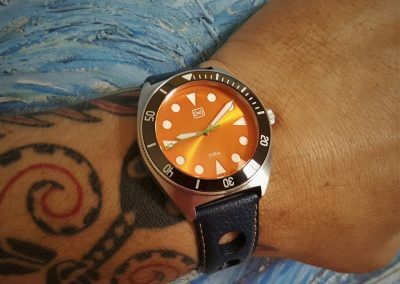 But, you still can buy this watch thru DieWald website with delivery scheduled for July 2018. 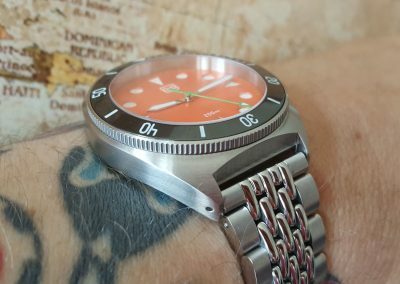 Here is a link to my video review of the watch. You can find many more reviews at my YouTube channel Dado Ribich.